Today, tuition in Singapore is an necessity. 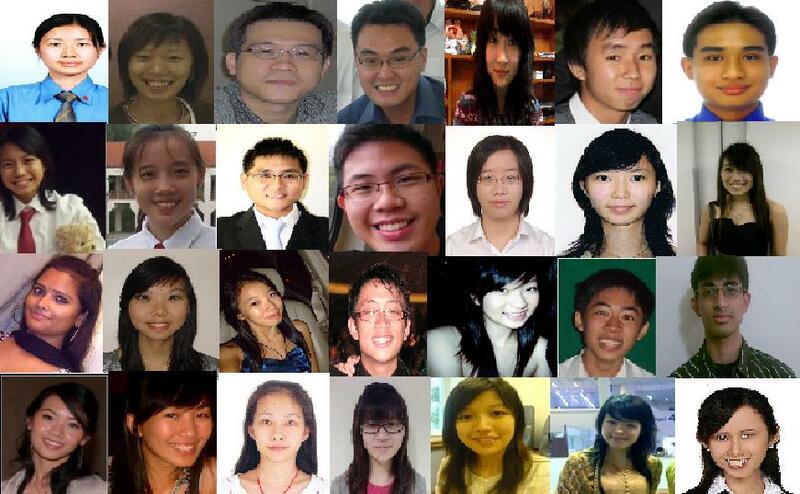 A 7th Feb 2009 Straits Time article indicates that some 97% of our student population today have some form of tuition. This is an unfortunate result of the pressure cooker education system that school kids are constantly facing in a meritocratic society like Singapore. From my experience through interactions with parents, many parents are satisfied with the results of tuition. More than 80% of these parents observed an improvement of 1-3 grades in their children school work, usually within a time frame of 3-6 months. A tutor can impart knowledge that may not be taught in sufficient details in school. A tutor can go through materials that your children is too embarrassed to ask in school. A tutor can share street smart exam techniques, topics to focus on and tips on how to remember certain formulas. Tuition Centre or Home Tuition? As a parent, after you make up your mind that it is time to get tutoring help for your beloved child, the next question to ask is whether to go for tuition centre or home tuition. The main advantage of home tuition is one-to-one attention. With one-to-one tutor to student ratio, the tutor will be better able to focus on the specific weakness of your child and the difficulties the child meets with in school. Home tuition also offers less travelling time for the parent and student as the venue for home tuition are typically at the student's residential home. Schedules changes are also more flexible. However, the fees for home tuition typically costs more than tuition centre classes. Tuition centre teaching is in between home tuition and school classroom teaching. Tuition classes typically have 4-12 students per tutor. Depending on the maturity of the tuition school, the tuition centre may provide a customised set of materials and proprietary teaching techniques. These special materials and teaching techniques are the main attraction point for good tuition centres. The social setting of a tuition centre may also encourage school children to practise their socialisation skills. However, parent and student may find it a hassle as it takes travel to the tuition centre. How to Find A Good Tuition Centre? The listing on matchtutor.com.sg provides you with the most comprehension listing of tuition centres in Singapore, sorted in increasing order from your home address. Go through this list to hunt for the right centre for your child. Polytechnic/JC/Undergraduate student Tutor: These are students still pursuing their education and are best able to relate to the academic stress and conditions your child is faced now since these tutors probably just went through what your child is undergoing. The quality of tutor in this category varies widely. The good ones are most cost effective due to their lower charging rates while the below average polytechnic or undergraduate tutor may lack the professionalism and teaching skill sets of the other categories of tutors. Parents seeking out for polytechnic and undergraduate students do typically have to undertake a higher level of risk. Student tutors may have problem attending to your child tutoring needs during examination periods when these tutors themselve may also be having important academic assessment. Part-time Tutor: Part-time tutors are holding full-time jobs, often in different disciplines and fields. Part-timers typically are only available for tuition on evening and weekends. Generally, part-time tutors may already finish their education and many of them are university graduates. Part-time tutors are generally more mature in age, and will be able to share real-life working experience with the child. In terms of charging rate, part-time tutors command different prices depending on the number of years they have been tutoring and the type of qualification these part-time tutors are holding. Typically part-time tutors only teaches 1-2 child at any one time. Full-Time Tutor: Full-time tutors give tutoring as the main job, thus full-time tutors watch the time closely, as they may need to move off to another teaching assignments. Experienced full-time tutors often have the ability to quickly identify the weak area faced by most children and are very familiar with the syllabus as they teaches the same subject and topic often multiple times to different students. Ex-Teacher/Current Teacher: Teachers who give tuition are the most valued after tutors, commanding the highest rates. As they are intimately familiar with the changing trends of education in Singapore, some good current teachers may even be able to spot potential questions that are highly likely to come out in this year examinations. Both ex-teachers and current teachers have underwent rigorous NIE training, and thus possess better teaching and communication skills than the other group of tutors. Ex and current school teachers who are willing to give tuition outside their demanding school schedule sells like hot-cakes. Typically, it may take quite some time to get a school teacher to be a tutor. Furthermore, the rates (often over $100/per hour for JC students) may not be in the affordable budget range of parents. The right type of tutor for your child really depends on your budget you are able to afford and the peculiar needs for your child. Word of mouth recommendation is still the best means to find the right tutor. Ask around your colleagues or friends who may have good experience with a particular tutor. Howevever, the ability to use word of mouth recommendations depends heavily on how big is your contact sphere and network. A lot of good tutors may not be able or willing to teach your kid either due to schedule limitations or geographical location differences. Seeking the help of tuition agencies is another way to find a good tutor. Typically, comission of doing tutor matching is taken from the tutor's first month tuition fees, hence engaging tuition agencies help to seek the right tutor comes at virtually no cost to the parents at all. A good agency will listen to your child education requirements needs, advice you on the tuition rates, the number of sessions and length of session to go for, depending on the number of subjects to be tutored upon. As a general rule of thumb, a 2 hrs weekly session is necessary if your child requires tutoring in one subject. Any increase in subjects will probably a tutoring schedule of 2 times a week. Each tuition agency typically have its own list of tutors. The agency will then contact prospective tutors in its list to see whether if any are interested in taking up your tutoring assignment. It can take up to a few hours or even a few weeks for these tuition agency to get back to you, depending on the exclusiveness of your requirements. A primary school student maths tutor is much easier to find compared to a ex-teacher who is able to teach JC level chemistry. A good tuition agency will also do the necessary background check on the educational certifications of the tutors. After the first session, the tuition agency will also do a call-up to both the parent and tutor to ensure that everything is alright and everyone is satisified with the tutoring arrangement. What to Observe during the First Lesson? Any communication barriers between the child and tutor? Is the tutor is able to explain the topics effectively, in a way your child is able to comprehend? Is the tutor on time and gives your child the undivided attention during the tuition session? Frequent checks on mobile phone is a good indicated of a distracted tutor. It is important for goal to be established between the tutor and child. This is the only way to ensure that you are getting your return of investment in your child education. A good goal usually follows the SMART characteristic. (S)pecific: Who is involved, what to achieve? (to get A2 in Maths). (M)easureable: What is meant by improvement? How to measure grades improvement? (using certain critical examinations as a check). (A)ttainable: Identify goals that are attainable, through good planning. (R)ealistic: Set goals that are realistic which the child is willing and able to achieve. Do not expect your child to As when he or she is currently failing the subject. (Improve 2 grades from a D to a C). (T)imely: Set a time frame to achieve the goal. (3 months time). Some tutors and child sets a 1-2 grade improvement goals within a 3 months period. Investment in stocks requires constant monitoring. Similarly, investment in your child education also requires constant monitoring. Do not expect miracles to happen overnight. Your child who may be able to achieve his 'A's right after the first tuition session. Give the tutor and child 1-2 months before expecting to see any significant results. Mon - Sun: 9.00 a.m. - 9.00 p.m.